Last month I talked about the things that keep me up at night, one of the most prominent being our offerings at Expo! Expo! IAEE’s Annual Meeting & Exhibition and how to provide the best experience to attendees. Thankfully, I am not alone in this task. IAEE staff and members of the Expo! Expo! Education Committee share in our mission of being at the forefront of today’s education trends. It’s a process that is in constant motion, however, at this year’s Expo! Expo! we have honed in on three emerging approaches to education: solutions based learning, attendee engagement and the holistic approach. Solutions Based Learning. As someone who has spent many years in the sales portion of this industry, I appreciate a nicely put together sales pitch. However, once the facts have been presented, attendees are more interested in how a product or service applies to their needs. At the end of the day, we all have our own bottom lines to fulfill and the phrase “work smarter, not harder” has become a commonplace mantra. Attendee feedback we’ve received indicates that learning experiences need to be applicable – attendees want solutions, not just presentations. It’s All About Solutions at Expo! Expo! Attendee Engagement. We have entered an era of experiential learning at exhibitions. Attendees want to walk away from an event having felt that their time and expense invested in the show was well worth it. As with solutions based learning, it is not good enough to simply “talk at” attendees – attendees want to be immersed in the overall process. As such, learning opportunities will abound on the Expo! Expo! 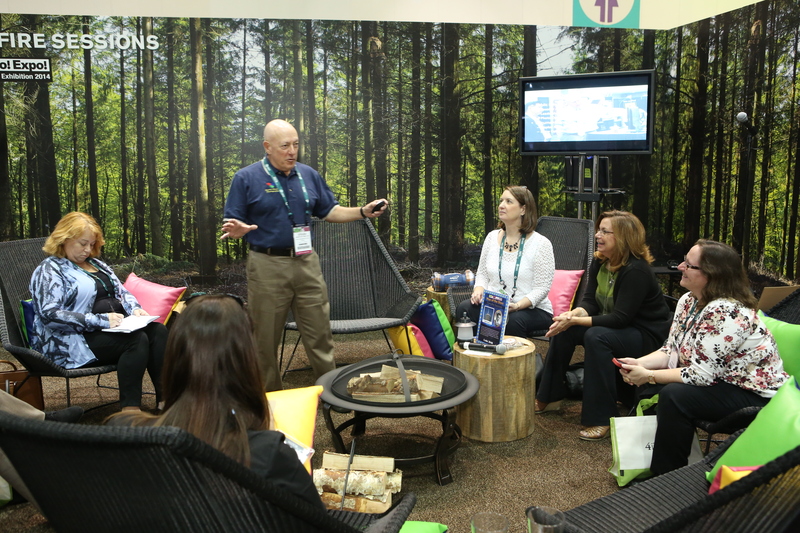 show floor in the form of Campfire Sessions and the Tech SwimUp Bar. Off the floor, this translates to providing attendees with the networking opportunities they need to feel that they are experiencing an event, rather than simply “going to a show.” By creating platforms in which attendees can connect and share each others’ perspectives, knowledge and experience, show organizers are able to genuinely engage attendees into a valuable proposition with a win-win ROI all across the board. The Holistic Approach. The business world is coming around to the realization that having happy, healthy members on your team is good for business – as in, “the whole is more than just the sum of its parts.” In the exhibitions and events industry, we face unique challenges in this area. For example, so far this year I’ve spent 125 days on the road as part of my job. It’s a simple fact that our industry can be demanding in this regard, so at Expo! Expo! we’ve put considerable thought into providing our attendees with great information as to how to take a holistic approach to meeting their personal and professional goals. Education sessions developed by the Women’s Leadership Forum Task Force are open to all attendees, offering ways to incorporate “work smarter, not harder” solutions that lead to more efficient and successful outcomes. The Wellness Lounge will offer multiple sessions addressing physical and mental challenges our industry faces and effective tactics to combat these challenges. One of my favorite things about our industry is that there is never a dull moment. Education is a major component of Expo! Expo! and I am very eager to experience it with you this December in Baltimore. Getting the end user trained to ask them in advance may be the key component to the future. See you in Baltimore.